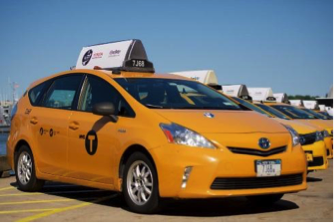 What Is A New York City Yellow Taxicab? The Yellow Medallion Taxicabs are iconic to New York City (NYC). There are currently over 13,000 licensed taxicabs and over 50,000 taxicab drivers providing transportation for passengers in all five boroughs via street hails. Medallion taxicab drivers must follow a set of TLC requirements in order to be licensed to drive a yellow taxicab. Do I Need Yellow Taxicab Insurance? Yes. In addition to having TLC plates and registration, the TLC requires all NYC Yellow Taxis to have TLC insurance coverage. NYC Medallion Taxicabs must meet the TLC minimum liability coverage requirements which are set at $100,000 per person, $300,000 per accident and $200,000 in personal injury protection. Yellow Taxicab drivers are also subject to NY Workers Compensation insurance laws – which require coverage for drivers operating another permit owner’s vehicle. How Do I Purchase Street Hail Livery or Green Taxi Insurance? For nearly 50 years, Pearland Brokerage has provided TLC insurance quotes to thousands of New York City TLC Drivers and TLC Vehicle Owners. Our experienced insurance brokers have a complete understanding of the insurance requirements for Yellow Taxi owners. We quote Yellow Taxi coverage through all the major carriers to find the right insurance policy for you. Contact us at help@pearlandny.com for a quick quote on Yellow Taxi TLC Insurance or Workers’ Compensation.